If you've just purchased a new domain and you want to forward all web requests to an existing site, you can do so using our free URL forwarding service. 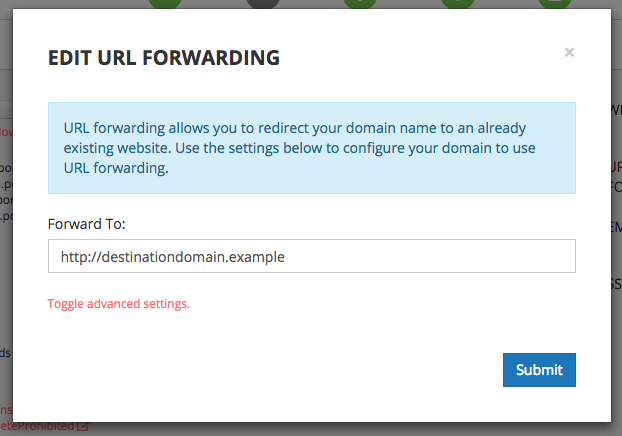 On the Edit URL Forwarding screen, type the domain to which you wish to forward browser requests. Click Submit when you're done. 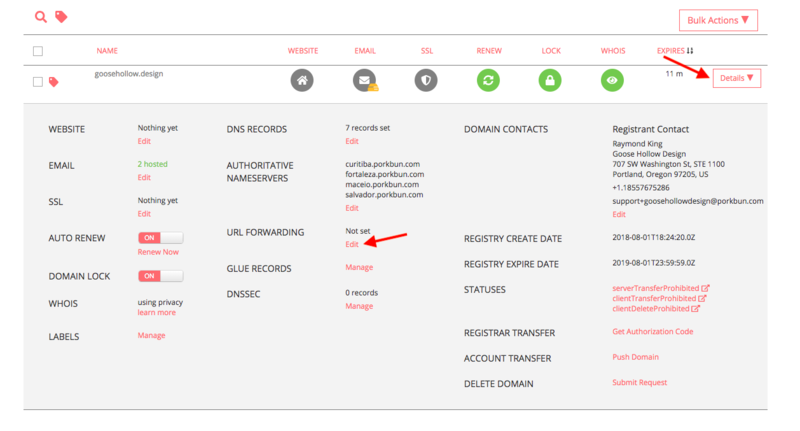 Porkbun uses a Temporary Redirect (302/307) to accomplish URL forwarding. In general, Porkbun recommends using this type of forward since it is easily reversible and will not impair SEO for the target site. Rarely, however, an individual will require a different type of forward. If you need a 301 Permanent Redirect or a Masked redirect, click "Toggle advanced settings" and scroll down to select a different redirect type. Once you've selected a different redirect type, scroll all the way down and click Submit to change your redirect type.